A.J. 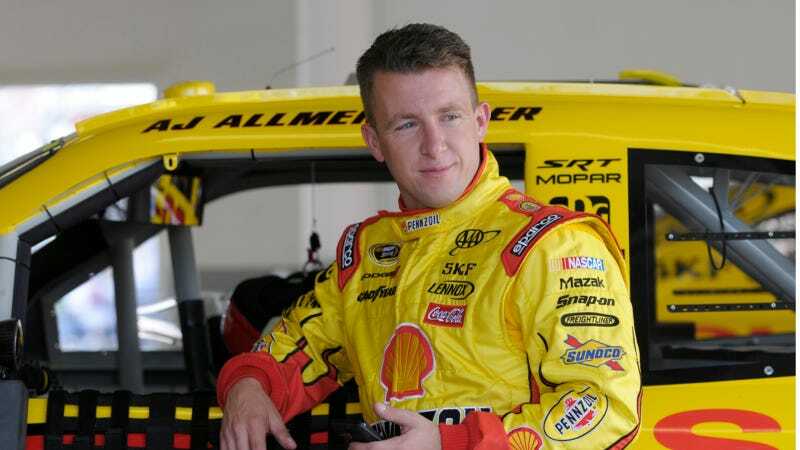 Allmendinger, yes that's his real name, was temporarily suspended from competition by NASCAR before Saturday night's Coke Zero 400 in Daytona after failing a random drug test. The racer, who is in his first season with the uber-professional Penske Racing organization, will be unable to compete in NASCAR races until further notice. NASCAR has not released the details on what drug Allmendinger tested positive for and if it was illegal or prescripstion. He is the second Sprint Cup driver to receive a suspension, the first being Jeremy Mayfield who tested positive for Methamphetamines and then went off the deep end. Allmendinger has 72 hours to request a second "B" sample be tested. If it tests negative, he will be reinstated by NASCAR, if not, he will be suspended indefinitely. NASCAR has not yet received a request to test the "B" sample, and the deadline to test it is Tuesday. In his place, Penske flew Sam Hornish Jr. on a private jet from Charlotte, where he arrived at the track about 10 minutes before the race and got in the car. He finished 33rd after a cut tire ruined his day.